Russia's Soyuz TMA-21 piloted spacecraft was launched early on Tuesday to the International Space Station. The spacecraft atop a Soyuz-FG carrier rocket blasted off at 2:18 Moscow time (22:18 GMT Monday) from the Baikonur space center in Kazakhstan. 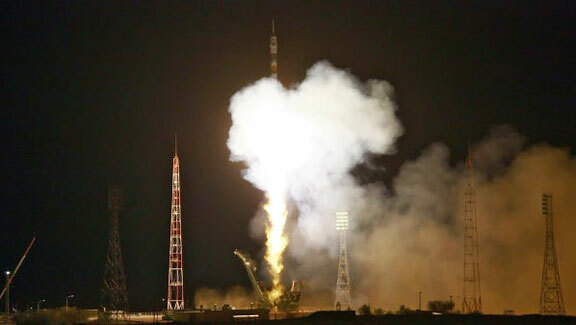 The Soyuz TMA-21 reached its designated orbit after separating from the carrier rocket and will dock with the ISS on April 7 at 3:18 Moscow time (23:18 GMT, April 6).
' to commemorate the 50th anniversary of Yury Gagarin's space flight, was originally scheduled for March 30th, but was postponed due to technical problems.